← PPPRS, We’re coming for you! I’ve recently heard that the Milwaukee Makerspace has a reputation for only having members who are electronics enthusiasts. Well, in addition to the metal, wood, beer, water, whisky, fire, arduino, welding, odd, audio, casting, and numerous acoustic projects that I’ve worked on at the Makerspace, I’ve finished a few electronics projects here. My latest Makerspace weekend project is a shelf for my kitchen, pictured here with the Sad Banana™ and three legged pig®. 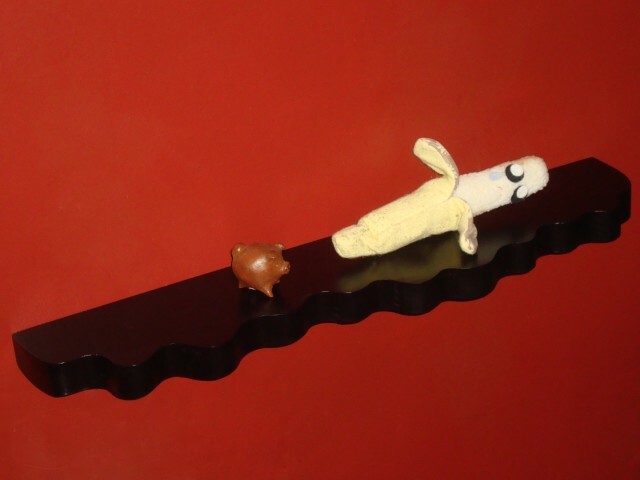 This entry was posted in joy, sad banana, three legged pig, wood, Woodworking. Bookmark the permalink.